I’ve been doing a great deal of thinking and praying on the theme of unity these past weeks. It began with the death of Trayvon Martin. Sanford Florida is a short drive from my home. I keep thinking about how we continue to fear one another and how this fear escalates into labeling and violence. There are other situations, too. A couple in the midst of divorce, a disagreement between friends, a costly betrayal. Oh the things we do to one another. It breaks my heart and I am sure it breaks God’s heart. Lord have mercy. The good news is that mercy does come. In the breaking and brokenness, God makes a way for us to be one- one with God and one with each other. Christ is broken that we might be freed from our fear, that we might find unity in our diversity, that we might be whole. Merciful One, make us one with each other and one in you. Amen. The music continues underneath each Scripture reading. On Ash Wednesday, Corey Trinkl, Director of Children’s Ministry at Community United Methodist Church in DeBary, led our preschool classes in a prayer exercise. 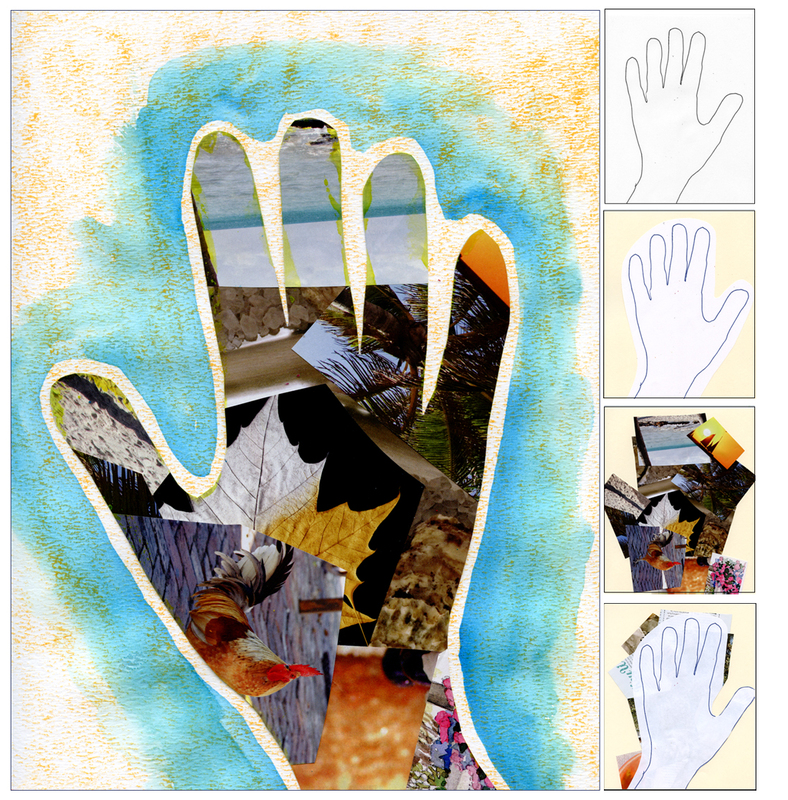 Class members traced one of their hands onto a poster board. (One board per class.) During Lent, the preschool classes will be praying for one another by placing their hand on the hand of a person in another class. The poster boards will rotate through the different classes, staying a week in each class. Corey’s idea started me thinking about other situations where having the tracing of someone’s hand would help focus prayer. What situations come to mind for you? The beautiful thing about this process is its flexibility. You could collect hand tracings of persons who will be lifted up in prayer or give hand tracings of those who are doing the praying. 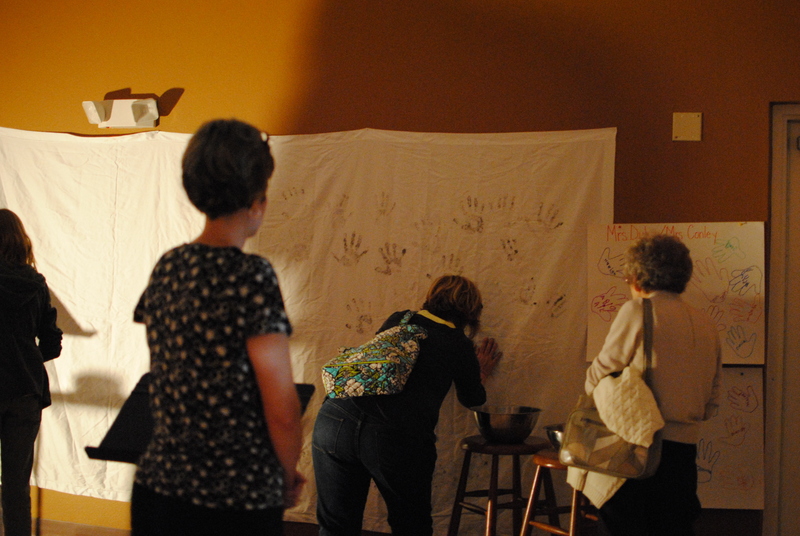 What would it mean for someone to receive a poster board full of traced hands as a reminder they are remembered, loved, and covered in prayer? How about a quilt covered in hands? How would an altar table cloth covered in the hands of a mission team or other group help focus the prayers of the people? For this reason, since the day we heard it, we have not ceased praying for you and asking that you may be filled with the knowledge of God’s will in all spiritual wisdom and understanding, so that you may lead lives worthy of the Lord, fully pleasing to him, as you bear fruit in every good work and as you grow in the knowledge of God. Three day old sunflower seedlings. Public Domain via Wikimedia Commons. True philosophers are always occupied in the practice of dying. and there is no real spiritual life in this world except that which has come to us by the process of death, burial, and resurrection with Christ. We must die if we are to live. There is no spiritual life for you, for me, for any man, except by dying into it. Have you a fine-spun righteousness of your own? It must die. Have you any faith in yourself? It must die. The sentence of death must be in yourself, and then you shall enter into life. The withering power of the Spirit of God must be experienced before his quickening influence can be known: “The grass withereth, the flower fadeth: because the spirit of the Lord bloweth upon it.” You must be slain by the sword of the Spirit before you can be made alive by the breath of the Spirit. fruits of unity and universal peace. and he is also speaking for each one of us. and greater openness in the Spirit of Jesus. If you want to follow Jesus, understand that you must be, like him, a grain of wheat that falls into the ground and dies in order to bear much fruit. You cannot hoard your life (psyche in Greek, nephesh in Hebrew), making your survival your goal. You must have a higher allegiance, one born out of belief in and following the Son of Man who is glorified and who glorifies God in his crucifixion and resurrection. Now we begin to see why repentance is a uniquely Christian path of liberation from self. All great religious traditions recognize that the deepest desire of the human heart is for freedom from inner oppression. We feel “conditioned”: bound by the chains of our habits and compulsions, our likes and dislikes, our fears and guilt, our inability to love. Our great tragedy is that we so often mistake these habits and compulsions for our true self. … Our false self must die, so that we can find our true self, the self which God meant us to be and which he created in his image and likeness. Praying is a slow dying. In prayer you give up something of yourself and appropriate something of the sphere of the Divine in a continuous cycle of dying and resurrection. In prayer the growing soul leans toward the Light as a seedling leans toward the sun’s path. 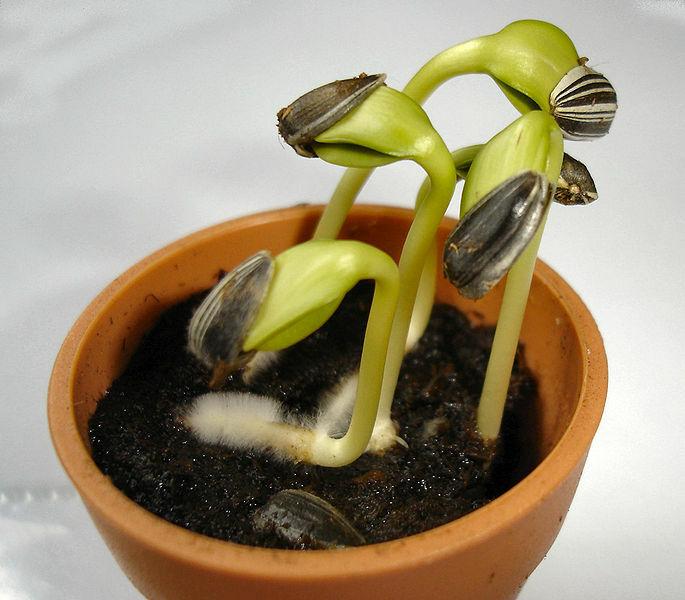 Plant a bean in soil, and soon it puts forth roots and a stem and the seed itself is lifted up upon the stem, broken, transforming into the nourishing cotyledon. This skeletal shell gives itself to the new green leaves which then begin the process of photosynthesis. The cotyledon, the old bean in withered form, falls off, spent, like the human body in death, having birthed and nurtured something new. Christ was in the tomb; the whole world was sown with the seed of Christ’s life; that which happened thirty years ago in the womb of the Virgin Mother was happening now, but now it was happening yet more secretly, yet more mysteriously, in the womb of the whole world. Christ had already told those who flocked to hear Him preach that the seed must fall into the earth, or else remain by itself alone. Now the seed of His life was hidden in darkness in order that His life should quicken in countless hearts, over and over again for all time. His burial, which seemed to be the end, was the beginning. Had Jesus not descended to the grave, how would he have been the life-giving, the soul-quickening root of all his church and people? But now, by this one precious corn of wheat falling into the ground, and dying, how hath the garner of God been filled, and is now continually filling, with his seed! I am always dying, with each breath that enters and leaves my body, with each second and the hundreds of thousands of cells that are dying off to make room for more, with each toss of the football to my vigorous and growing son. And may I keep dying so life may abound. Thanks be to God! poor and naked, alone and without recourse. Christians celebrate Palm Sunday the Sunday before Easter, remembering Jesus’ triumphal entry into Jerusalem. This event is mentioned in all four Gospels. (Mark 11:1–11, Matthew 21:1–11, Luke 19:28–44, and John 12:12–19). 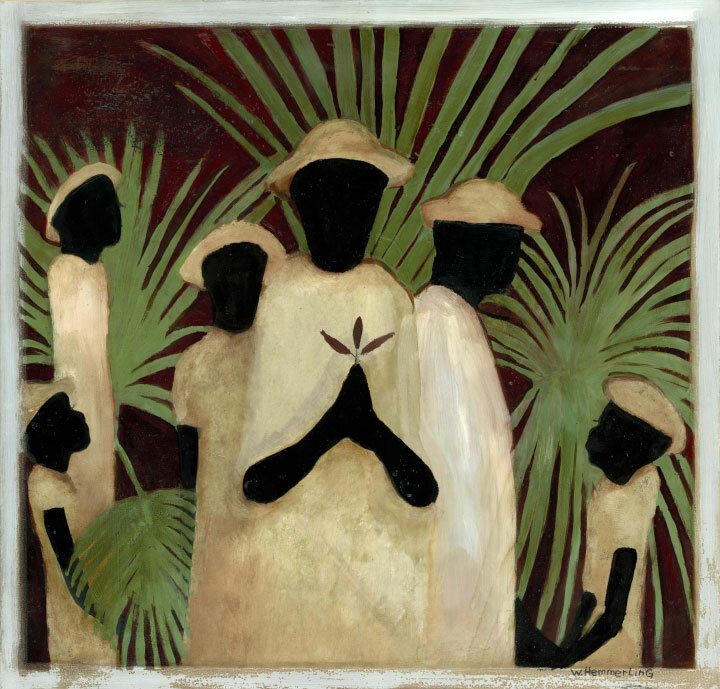 Click for a Palm Sunday Reader’s Theater Script based on Matthew 21:1-17 (NIV). You are welcome and encouraged to use this work in a worship setting with proper attribution. 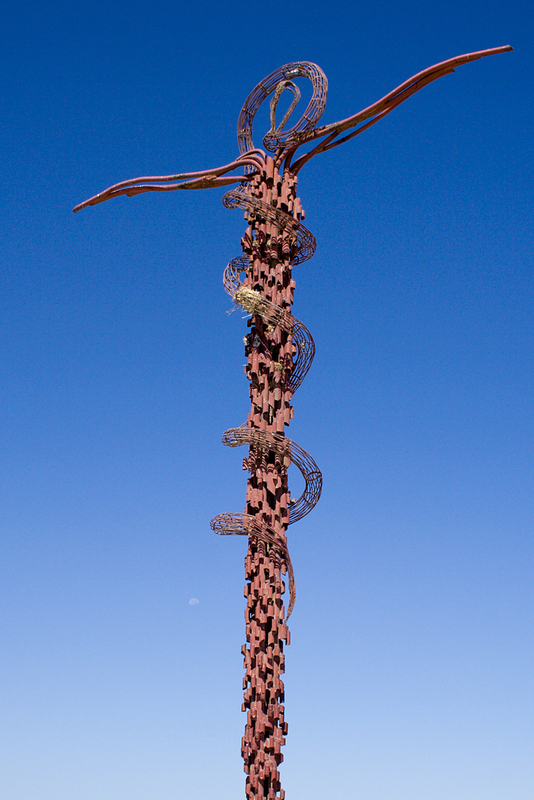 Please consider patronizing the beautiful work of William Hemmerling, today’s featured artist. From April 24 through May 4 of this year, the General Conference of the United Methodist Church will be meeting in Tampa, Florida. This gathering of laity and clergy are the decision making body of our denomination. 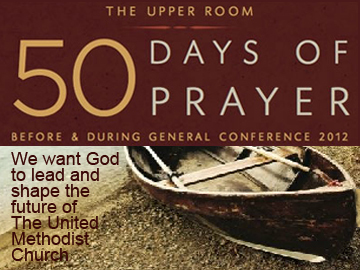 In preparation for the event, a resource has been written entitled 50 Days of Prayer Before & During General Conference 2012. This guide will allow United Methodists all over the world to actively support the spiritual preparation needed before the General Conference and intercede faithfully during the ten days of the Conference. Through use of this resource, we will unite in prayer for God’s will to be done in God’s way and in God’s time. The kingdom of God comes through prayer and discernment. We want God to lead and shape the future of The United Methodist Church. • Download a free PDF version to your computer or reading device in English, French or Portuguese. Look for the links on the left side of the page. • Have each day’s reading sent to your e-mail address. Subscribe on the right side of the page.